The forests of Borneo are among the most biologically diverse habitats on Earth, home to a diverse population of species such as orangutans. Sadly, these treasured rainforests are being cut and degraded for timber, palm oil, pulp, rubber and minerals, endangering the existence of several species. But all hope is not lost. 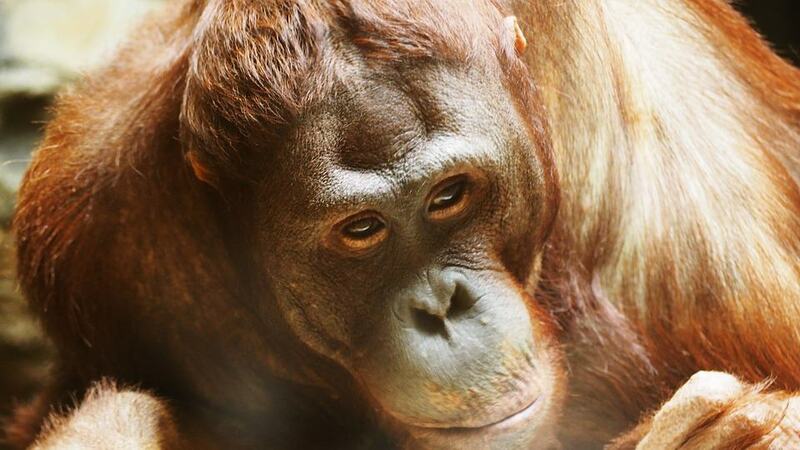 Restoration programs are planting trees to help protect endangered species and save orangutans. A century ago, most of Borneo was covered in forest. But the region has lost over half of its forests, and a third of these have disappeared in just the last three decades. A 2012 study by WWF projected that if current deforestation rates continue, 21.5 million hectares will be lost between 2007 and 2020, reducing the remaining forest cover to 24 per cent. If this is the case, then Borneo – the world’s third largest island – could lose most of its lowland rainforests outside of protected areas by 2020. Without the maintenance of very large blocks of inter-connected forest, there is a clear risk that hundreds of species could become extinct. Large mammals such as orangutans and elephants are particularly affected because of the vast areas they require to survive. This alarming rate of deforestation requires swift action against illegal logging as well as major contributions in reforestation programs. Although illegal logging lies at the heart of Borneo’s deforestation problem, research shows that reforestation projects may help reduce this rate by changing local perceptions. Results showed that respondents who had participated in the reforestation program possessed a greater knowledge of the national park as well as an appreciation and desire to preserve the forest for future generations. Formaliti is extremely proud to partner with B1G1 for the Plant a Tree to Save Orangutans Project. B1G1 is a giving community which was created to help people all around the world. The Plant a Tree to Save Orangutans Project aims to rebuild the native forest habitat at Tanjung Puting National Park in Central Borneo. This reforestation project supports an increasing population of Orangutans, enabling them to travel in safety and have access to food. Check out our impacts to see how many trees have been planted so far. Or start saving paper today with a 30 day free Formaliti trial.